/mad-max-fury-road-ew-magazine-cover-with-tom-hardy-and-charlize-theron/Earlier today EW debuted its latest magazine cover featuring Tom Hardy and Charlize Theron from Mad Max: Fury Road. Now they've released 7 never-before-seen images with the two actors, who star as Mad Max Rockatansky and Imperator Furiosa. We also get a first look at the very pale Nicholas Hoult who plays one of the apocalyptic mutants named Nux. 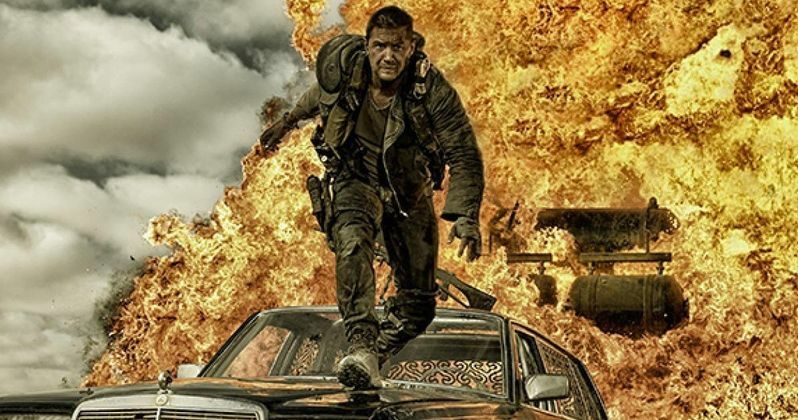 Check out some of the movie's non-stop action, with Mad Max: Fury Road being described by director George Miller as "a chase that starts as the movie begins and continues for 110 minutes." We get to see Max crucified to the front of a fast moving car in the desert, along with some of the other vehicular damage that willl play out on screen May 2015. EW has also debuted some of the storyboards from Mad Max: Fury Road, which depict this never-ending car chase. Check it out as Mad Max is muzzled and tied to the hood of a car before being dragged across the cruel landscape of the apocalypse.